authors explore numerous instances of white-imposed discrimination faced by Asian Americans in a variety of settings, from elementary schools to college settings, to employment, to restaurants and other public accommodations. The responses of Asian Americans to the U.S. racial hierarchy and its rationalizing racist framing are traced-with some Asian Americans choosing to conform aggressively to whiteness and others choosing to resist actively the imposition of the U.S. brand of anti-Asian oppression. 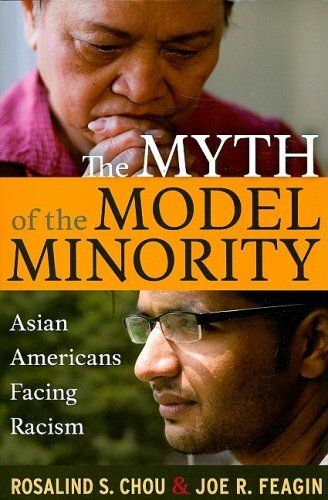 This book destroys any nave notion that Asian Americans are universally "favored" by whites and have an easy time adapting to life in this still racist society. Rosalind S. Chou, Assistant Professor of Sociology at Georgia State University, is the author of Asian American Sexual Politics and co-author with Joe Feagin of The Myth of the Model Minority. of the American Sociological Association. He is also the 2013 recipient of the Arthur Fletcher Lifetime Achievement Award by the American Association for Affirmative Action.